Patients with heart failure suffer from a chronic and progressive disease. The heart does not function properly because the pumping function is impaired. In addition, patients with heart failure show symptoms such as leg swelling, fatigue and shortness of breath, which causes a rapid deterioration of their condition that leads to a high degree of readmissions. Scientific studies of home-based monitoring among heart failure patients show that measuring blood pressure, pulse and weight is not sufficient to detect the worsening of symptoms and readmissions among this group of patients. The goal of this study is to investigate whether the monitoring of several parameters, such as physical activity, sleep, night pulse, blood pressure, pulse, weight and questions about symptoms and well-being can help to identify deteriorating condition at an earlier stage, and to teach patients to manage their disease in a more individualized and optimal fashion. This will be done using a tele-rehabilitation program designed for patients with heart failure. Patients with heart failure will be better at managing their own illness with the help of new technology. Multimetric data (blood pressure, pulse, weight, steps, sleep, etc) and issues related to the development of condition and psychological well-being can help predict worsening of symptoms and the need to readmit heart failure patients. Patients with heart failure who use tele-rehabilitation will experience a more personalized rehabilitation program and greater coherence between discharge and rehabilitation. Patients with heart failure increase their daily physical activity by using a digital pedometer. Patients with heart failure will increase their disease management and quality of life. We also intend to collect information about the subjects, their relatives and experiences of health professionals in using telerehabilitation equipment and whether it can make their work routines more effective and reduce healthcare costs. 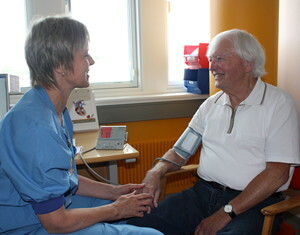 Participating in the clinical study are the Cardiology Department at the Viborg – and Skive Regional Hospital and the health centers in the cities of Randers, Viborg and Skive. User-driven innovation has been the starting point for developing a tele-rehabilitation program for patients with heart failure. Thus, we have conducted workshops with patients, family members and health professionals from hospitals and health centers, with representatives of health technology companies and with healthcare researchers. The target group of the research program are heart failure patients NYHA class I-IV over 18 years of age and resident in Viborg or Skive municipalities. 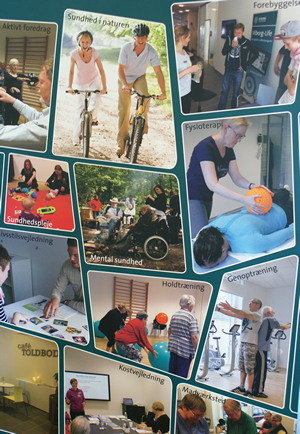 The project is funded partly by a grant of 10 million DKK from the Aage and Johanne Louis-Hansen Foundation. 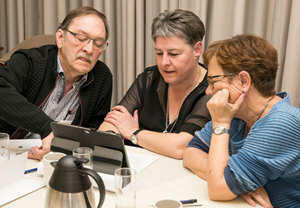 Additional funding comes from Aalborg University (503 110 DKK), ViewCare (140,000 DKK), I-Guide (164.610 DKK) and from co-financing in the form of hours worked by all the collaborating partners in the project.